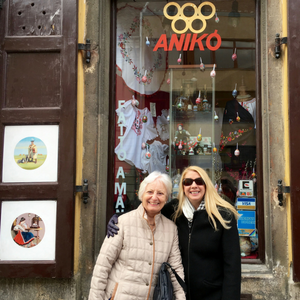 Discovering Aniko was a common name when I first visited Budapest as an adult in 2007 wasn’t surprising. After all, it IS a traditional Hungarian name. However, I was unprepared for meeting others girls and women named “Aniko” and how it would make me feel. It feels strange. In Canada, having Aniko as my name made me akin to the “Highlander”. “There can be only one” (the belief and motto among the immortals in the original Highlander film). I am like Buffy the Vampire Slayer, “Into every generation a slayer is born: one girl in all the world, a chosen one. In all of my 40+ years, I never met another Aniko on Canadian soil. Furthermore, I grew up in a country where people could neither pronounce nor spell my name. My mother tells the story of how when I was in grade one my teacher pointed out that my name was tricky, “so why don’t we just call you Annie?” Unsurprising to those who know me, my six year old self responded, “Why don’t we just call me Aniko since that’s my name”. At least in Hungary, EVERYONE knows how to pronounce and spell my name. Two Anikós in front of the “Anikó” souvenier store in Budapest’s 1st District. 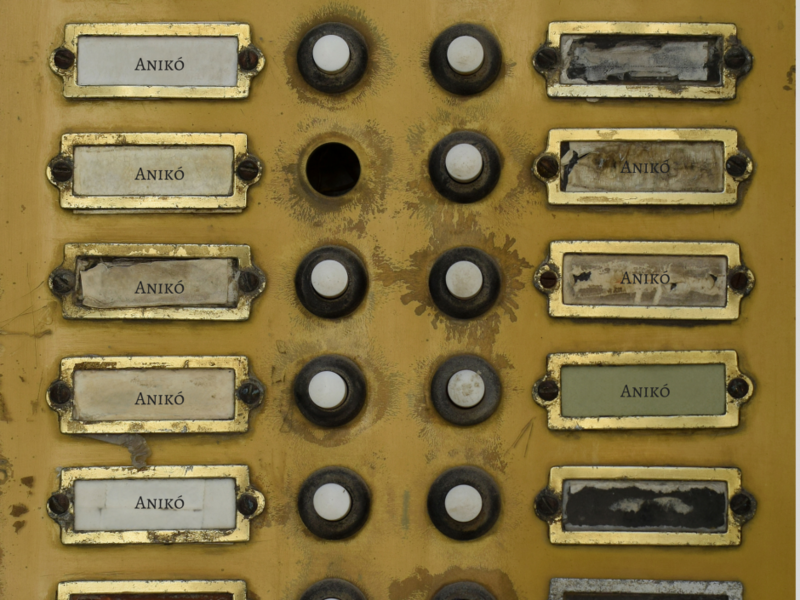 Aniko is a diminutive form of Anna in the Hungarian language. Aniko’s language of origin is Hebrew and Japanese, and it is used largely in the Hungarian language. Not only do I now have a “common name” to get used to – but a brand new spelling for me. In Hungary, my name is spelled with the an accent over the “o” – Anikó. Only my Hungarian grandparents wrote my name this way – never my Hungarian parents or my sister. However, this is my legal name in Hungary. It appears that way on all my documentation, so I must start remembering to spell it that way. I know all you Stephanies, Sarahs, Nicoles, Emilys and Madisons probably think I’m crazy… but having a unique name is a huge part of my identity. I don’t really want to be one of many in the crowd – even if it means I can easily find a personalized keychain. I like explaining how to spell my name. I like explaining its origins. I like that people often think I am a tiny Japanese woman before they meet me. I like telling people that the other choices for my name were Ildiko or Brigitta. I like being special. I love that my name is Aniko.